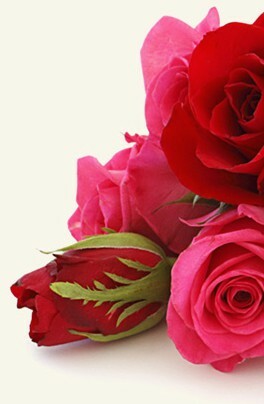 Login to my flowers4lebanon.net/beirut account to track the status of your order or visit our customer service page. Login to my flowers4lebanon.net/beirut account to modify your order or visit our customer service page. All changes must be 24 hours before delivery. After that time, we cannot guarantee there will be enough time for the changes you request. At Flowers for Lebanon we only use the very best in security for our online payments. We use PayPal for our online payments and as one of the largest payment processors in the world their security is top notch. flowers4lebanon.net/beirut keeps customer information completely confidential. Our company does not share customers' personal information for third-party use or sell it to advertising agencies. In the event of a legal requirement, fraud, or law-enforcement request, your personal information may be shared upon request from the relevant authorities. The delivery costs are: Beirut Achrafieh 15.00 USD, Beirut Ain el mraisseh 15.00 USD, Beirut Ain el remmaneh 15.00 USD, Beirut Ain el tineh 15.00 USD, Beirut Badaro 15.00 USD, Beirut Barbir 15.00 USD, Beirut Berj el barajneh 15.00 USD, Beirut Berj Hammoud 15.00 USD, Beirut Charles Helou 15.00 USD, Beirut Chiyah 15.00 USD, Beirut Cola 15.00 USD, Beirut Dawra 15.00 USD, Beirut Faraya 55.00 USD, Beirut Fiyadiyeh 15.00 USD, Beirut Forn el chebak 15.00 USD, Beirut Hamra 15.00 USD, Beirut Horech Tabet 15.00 USD, Beirut Jemmayzeh 15.00 USD, Beirut Jesr el Bacha 15.00 USD, Beirut Karantina 15.00 USD, Beirut Manara 15.00 USD, Beirut Mathaf 15.00 USD, Beirut Mcharfieh 15.00 USD, Beirut Mouaisrah 35.00 USD, Beirut New Rawda 15.00 USD, Beirut Ouzaii 17.00 USD, Beirut Rabwe 20.00 USD, Beirut Ramle al bayda 15.00 USD, Beirut Ras el nabeh 15.00 USD, Beirut Rawche 15.00 USD, Beirut Sad el Bouchrieh 15.00 USD, Beirut Saloumy 15.00 USD, Beirut Sami el soleh 15.00 USD, Beirut Sin el fil 15.00 USD, Beirut Siyyad 15.00 USD, Beirut Tahwita 15.00 USD, Beirut Tarik el jdide 15.00 USD, Beirut Tayouneh 15.00 USD, Beirut Unesco 15.00 USD, Beirut Verdun 15.00 USD, Beirut Zokak al Blat 15.00 USD, Bekaa Anjar 55.00 USD, Bekaa Baalbeck 85.00 USD, Bekaa Chtaura 40.00 USD, Bekaa Deir el ahmar 92.00 USD, Bekaa Ghbeireh 15.00 USD, Bekaa Hermel 125.00 USD, Bekaa Jeb Jennine 75.00 USD, Bekaa Karaoun 75.00 USD, Bekaa Kefraya 45.00 USD, Bekaa Kob Elias 40.00 USD, Bekaa Masnaa 60.00 USD, Bekaa Rachaya 85.00 USD, Bekaa Ras Baalbeck 105.00 USD, Bekaa Safra 30.00 USD, Bekaa Wata el joz 40.00 USD, Bekaa Zahle 55.00 USD, Mount Lebanon Achkout 40.00 USD, Mount Lebanon Adma 30.00 USD, Mount Lebanon Adonis 22.00 USD, Mount Lebanon Afka 55.00 USD, Mount Lebanon Ain Aar 25.00 USD, Mount Lebanon Ain Alak 25.00 USD, Mount Lebanon Ain el rihaneh 25.00 USD, Mount Lebanon Ain Saadeh 22.00 USD, Mount Lebanon Aintoura Metn 35.00 USD, Mount Lebanon Aintoura Zouk 25.00 USD, Mount Lebanon Ajaltoun 25.00 USD, Mount Lebanon Al-Koura 75.00 USD, Mount Lebanon Aley 25.00 USD, Mount Lebanon Amchit 35.00 USD, Mount Lebanon Annaya 45.00 USD, Mount Lebanon Antelias 15.00 USD, Mount Lebanon Aramoun Chouf 25.00 USD, Mount Lebanon Aramoun Keserwan 35.00 USD, Mount Lebanon Araya 19.00 USD, Mount Lebanon Awkar 22.00 USD, Mount Lebanon Ayoun el siman 50.00 USD, Mount Lebanon Baabda 15.00 USD, Mount Lebanon Baabdat 25.00 USD, Mount Lebanon Ballouneh 25.00 USD, Mount Lebanon Barouk 55.00 USD, Mount Lebanon Baskenta 45.00 USD, Mount Lebanon Bchamoun 25.00 USD, Mount Lebanon Beit Al Chaar 22.00 USD, Mount Lebanon Beit Chabab 22.00 USD, Mount Lebanon Beit el kiko 25.00 USD, Mount Lebanon Beit Mery 22.00 USD, Mount Lebanon Beiteddine 45.00 USD, Mount Lebanon Bhamdoun 30.00 USD, Mount Lebanon Bhanes 30.00 USD, Mount Lebanon Bhersaf 32.00 USD, Mount Lebanon Bikfaya 32.00 USD, Mount Lebanon Biyada 25.00 USD, Mount Lebanon Bkennaya 22.00 USD, Mount Lebanon Bkerke 30.00 USD, Mount Lebanon Bolognia 40.00 USD, Mount Lebanon Bouar 30.00 USD, Mount Lebanon Broumana 25.00 USD, Mount Lebanon Bsalim 19.00 USD, Mount Lebanon Bteghrine 38.00 USD, Mount Lebanon Byakout 19.00 USD, Mount Lebanon Byblos 35.00 USD, Mount Lebanon Bzemmar 32.00 USD, Mount Lebanon Champville 22.00 USD, Mount Lebanon Chnaniir 30.00 USD, Mount Lebanon Choueifat 22.00 USD, Mount Lebanon Damour 30.00 USD, Mount Lebanon Daroon 30.00 USD, Mount Lebanon Dawhet Aramoun 45.00 USD, Mount Lebanon Dbayeh 19.00 USD, Mount Lebanon Deir Al Qamar 42.00 USD, Mount Lebanon Deir el kalaa 22.00 USD, Mount Lebanon Dekwaneh 15.00 USD, Mount Lebanon Dhour Chweir 35.00 USD, Mount Lebanon Dik el mehde 22.00 USD, Mount Lebanon Dlebta 35.00 USD, Mount Lebanon Douar 32.00 USD, Mount Lebanon Edde 38.00 USD, Mount Lebanon Enaya 35.00 USD, Mount Lebanon Fakra 45.00 USD, Mount Lebanon Fanar 15.00 USD, Mount Lebanon Fatka 32.00 USD, Mount Lebanon Faytroun 35.00 USD, Mount Lebanon Fidar 32.00 USD, Mount Lebanon Ghadir 25.00 USD, Mount Lebanon Ghazir 25.00 USD, Mount Lebanon Ghbeleh 35.00 USD, Mount Lebanon Ghedres 35.00 USD, Mount Lebanon Ghineh 35.00 USD, Mount Lebanon Ghosta 32.00 USD, Mount Lebanon Hadath 15.00 USD, Mount Lebanon Halat 32.00 USD, Mount Lebanon Haret Sakher 25.00 USD, Mount Lebanon Harissa 30.00 USD, Mount Lebanon Hazmieh 15.00 USD, Mount Lebanon Hboub 38.00 USD, Mount Lebanon Hemmana 32.00 USD, Mount Lebanon Hrajel 38.00 USD, Mount Lebanon Jal el dib 15.00 USD, Mount Lebanon Jbail 35.00 USD, Mount Lebanon Jdeideh 15.00 USD, Mount Lebanon Jeita 25.00 USD, Mount Lebanon Jiye 32.00 USD, Mount Lebanon Jnah 15.00 USD, Mount Lebanon Joumhour 19.00 USD, Mount Lebanon Jounieh 25.00 USD, Mount Lebanon Jouret el ballout 21.00 USD, Mount Lebanon Kahale 19.00 USD, Mount Lebanon Kartaba 55.00 USD, Mount Lebanon Kaslik 19.00 USD, Mount Lebanon Kattine 35.00 USD, Mount Lebanon Kfarchima 22.00 USD, Mount Lebanon Kfardebian 42.00 USD, Mount Lebanon Kfarehbab 30.00 USD, Mount Lebanon Kfaryassine 30.00 USD, Mount Lebanon Kfour 35.00 USD, Mount Lebanon Khalde 22.00 USD, Mount Lebanon Khenchara 35.00 USD, Mount Lebanon Kleiyaat 35.00 USD, Mount Lebanon Kornet Chehwan 25.00 USD, Mount Lebanon Kornet el hamra 25.00 USD, Mount Lebanon Laqlouq 55.00 USD, Mount Lebanon Maameltein 25.00 USD, Mount Lebanon Mansourieh 15.00 USD, Mount Lebanon Mayrouba 38.00 USD, Mount Lebanon Mazraat Yachouh 22.00 USD, Mount Lebanon Mehrab 35.00 USD, Mount Lebanon Mkalles 15.00 USD, Mount Lebanon Monsef 38.00 USD, Mount Lebanon Monte Verde 22.00 USD, Mount Lebanon Mtayleb 17.00 USD, Mount Lebanon Naameh 28.00 USD, Mount Lebanon Nabieh 15.00 USD, Mount Lebanon Naccache 15.00 USD, Mount Lebanon Naher el kaleb 22.00 USD, Mount Lebanon Naher el mot 15.00 USD, Mount Lebanon Naher Ibrahim 32.00 USD, Mount Lebanon New Shayleh 25.00 USD, Mount Lebanon Okaibe 32.00 USD, Mount Lebanon Qartaba 52.00 USD, Mount Lebanon Raachine 38.00 USD, Mount Lebanon Rabieh 19.00 USD, Mount Lebanon Rawda 19.00 USD, Mount Lebanon Rayfoun 15.00 USD, Mount Lebanon Riyad el soleh 15.00 USD, Mount Lebanon Roumieh 22.00 USD, Mount Lebanon Sabtiyeh 15.00 USD, Mount Lebanon Sahel alma 25.00 USD, Mount Lebanon Sarba 22.00 USD, Mount Lebanon Sawfar/Saoufar/Sofar 32.00 USD, Mount Lebanon Shayleh 25.00 USD, Mount Lebanon Souk el Ghareb 25.00 USD, Mount Lebanon Tabarja 25.00 USD, Mount Lebanon Wadi Chahrour 22.00 USD, Mount Lebanon Yahchouch 35.00 USD, Mount Lebanon Yarzeh 19.00 USD, Mount Lebanon Zaarour 45.00 USD, Mount Lebanon Zalka 15.00 USD, Mount Lebanon Zekrit 25.00 USD, Mount Lebanon Zouk Mikhael 22.00 USD, Mount Lebanon Zouk Mosbeh 22.00 USD, Nabatieh Blat 35.00 USD, Nabatieh Hasbaya 100.00 USD, Nabatieh Marjaayoun 85.00 USD, Nabatieh 67.00 USD, North Akkar 85.00 USD, North Amyoun 60.00 USD, North Anfeh 55.00 USD, North Arez 85.00 USD, North Batroun 45.00 USD, North Becharre 85.00 USD, North Berbara 35.00 USD, North Chekka 55.00 USD, North Daraya 75.00 USD, North Diman 85.00 USD, North Douma 75.00 USD, North Ehden 85.00 USD, North Hardine 67.00 USD, North Kfifan 52.00 USD, North Kobayet 105.00 USD, North Koura 62.00 USD, North Mezyara 85.00 USD, North Minieh and Danieh 85.00 USD, North Qannaoubine 92.00 USD, North Qubayyat 105.00 USD, North Tanourine 67.00 USD, North Tripoli 75.00 USD, North Zgharta 75.00 USD, South Alissar 75.00 USD, South Daher el baydar 35.00 USD, South Jezzine 60.00 USD, South Nabaa 70.00 USD, South Nakoura 85.00 USD, South Qana 85.00 USD, South Saida 45.00 USD and South Sour 67.00 USD. 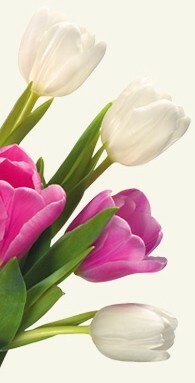 How do I contact flowers4lebanon.net/beirut customer service if there is a problem? Use my flowers4lebanon.net/beirut account to access your account and contact customer service. Alternatively, call our customer service department.